Just a quick little post here about some of the tools we’ve developed here are Engraver’s Mark Music that we use everyday to increase our efficiency and lower the cost of all our services for our clients. There can be so many repetitive tasks or functions in Finale that the ability to write a macro, or script, to handle some of these tasks becomes an extremely valuable tool and a major time saver. The ones I want to share with you today are for calling up filters. We use these for copying elements into our templates or even in editing. click checkbox "Expressions: Tempo Marks*"
click "Text" click "Tie alterations"
Copy and paste these into FinaleScript, assign a keyboard shortcut if you wish and enjoy! We use dozens of other tools and scripts at Engraver’s Mark Music and we’re happy to share our knowledge. We offer Finale tutoring sessions at $45 per hour. Send us a message and we’ll be happy to schedule a time to go over any questions you may have and help you develop new tools to make your workflow more efficient. And now that you’re totally bored and wondering what in the world this has to do with music preparation, I would ask that you go back and reread that last quote because it is vitally important. The music preparation business is a service business where we work with our clients to understand their needs and bring our expertise to help them fulfill their goals for any given project. 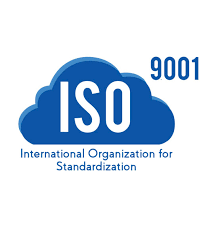 If we’re listening to, establishing trust with, and serving our clients in a way that ensures the best quality product or service that meets and exceeds the client’s needs, then we are fulfilling the purpose of the ISO 9001 standards and, more importantly, fulfilling the purpose behind all we do at Engraver’s Mark Music. Part of my motivation for writing this blog post is a sort of confession so you can see what goes on behind the scenes here at EMM and then how we addressed an issue that occurred with a client. Recently, we had a client call us about something being wrong with a vocal part we had prepared and printed for a studio session. The project was rather large collection for a publishing company, and we have worked with the company and arranger for years. For these sessions, they didn’t need an in-studio librarian, so after dropping off the parts and talking briefly with the producer and arranger, I left to go back to the office and the next project. Days where we have multiple sessions going at one time can be really stressful. We’re always “on call” whether we’re in studio with the client or not and the last thing we want is to get a call from the client during the session since that’s almost always means something is either missing or incorrect. That afternoon, I got a call from the client saying there was an issue with a vocal part for a particular arrangement. What ended up happening was a miscommunication on our part that lead to us printing an earlier version of the part instead of the most current one. That problem was quickly caught by the arranger and they moved on to another piece while they called me to see what could be done. Actually, we had the correct part, all set and ready to go, but somehow, we just printed the wrong one. I sent them a pdf and the client printed it at the studio. In the end, no time was lost at the session and everything was finished on time and on budget. Problem solved and no one got hurt. The client was very forgiving and wasn’t worried about it at all. We took the printing charge for that particular piece off our final invoice (since we didn’t deliver the correct product) and everything ended just fine. We’ve since done 4 more projects with this client, so I guess they’ve forgiven us. Maybe the gift box of fine chocolates and some nice bottles of liquor helped as well…. Anyway, the fall out of this was that we changed the file naming system we have internally as we work on projects and a few more details about our print process to ensure these errors don’t occur again. It was very stressful for me getting a call like this from a client but it spurred a renewed drive to look again and again at all our templates, processes, procedures and interaction with our clients, so we are confident in all that we do, so our clients know we are fulfilling their needs for any given project. Yes, Engraver’s Mark Music makes mistakes. The vast, vast majority never leave the office and make it to the studio or publisher, but it happens. So, how do we respond to that as a company? We first take the position that we don’t assume the client must be wrong. There are companies out there that do. After fixing the issue, we truly and honestly go back and find where it went wrong so we know how it happened. Then we take the time to adjust our systems to prevent it or setup a new protocol, so we are on the lookout for those issues in the future. The worst thing a company can do isn’t making a mistake (though that’s never a good thing), its making the mistake and not learning from it. That’s how a company learns to make mistakes, by creating an environment where issues not only happen, but aren’t addressed. It shows the client how committed the company is, not only to their project, but also how committed the company is to improving everything they do. Engraver’s Mark Music strives to always be improving and taking our mistakes are opportunities to improve all we do. So, ask us how we’ve made mistakes and we’ll show you how we’ve improved and how we plan to continue to do so. Partnering with Engraver’s Mark Music means that we’ve established a systematic approach to quality management, and we manage our business to ensure that our client’s needs are clearly understood, agreed and fulfilled. In this funny little side of the music business, there are many job titles and roles that are played in the production of a piece of music and getting on to the page to put in front of a musician. Some of them are leftover from (at times) centuries ago and others are of a more recent vintage and virtually created out of the necessity or habit of a given project. Having not grown up, musically speaking, as an orchestral musician or a composer, I have found these titles to be interesting, at times misleading, curious, a bit pompous and enlightening. So, I thought I would share a bit of what I learned about some of these titles, how I see them used in the industry, what that means for those entering this side of the industry and most especially, what these titles mean to Engraver’s Mark Musc and how we function in our corner of the musical world. 1. “Orchestrator” - to me, this means “one who puts the music on paper”. Granted, this is a very modern view of the traditional definition, which is someone takes the composer’s original music and arranges it for orchestra. That can included just a simple splitting out of instruments to completely rearranging a piece meant for strings into a woodwind ensemble. The job of the orchestrator is to take the musical vision of the composer and put it on the page in a way which most truly aligns with the original music, but also enhances it. In the modern usage of the word, this also means thinking of how the music will be performed in the studio or live and adjusting accordingly to fit the given recording schedule or orchestra size for a live performance. A composer can be his/her own orchestrator, but I found that in the modern film/TV/video game scoring world, the role of orchestrator is filled by another person or even team of orchestrators. This title was given only to a master craftsman, so today it does sound a bit pretentious, but I like it. I believe that what we, those of us who use Finale or Sibelius or Dorico or whatever, to make our music look as good as we possibly can, follow in the footsteps of the master craftsmen of old, and we too strive for perfection and excellence which comes of our years of practice and study. 3. “Music Copyist” - literally, this person copies music. Simple enough right? This title seems to have been born out of the film scoring industry starting in the 1930s (though perhaps even earlier). This person, usually working under a lead music engraver, was responsible to copying a part or score to reproduce it long before there were photocopiers. If you needed 8 copies of a violin part for a given cue in a movie score, well, you had to have a team of people to create, by hand, each one of them. I spent a very short amount of time early in my career writing out some charts by hand and I still think it’s a great place to start from to learn about music notation. It also gives one a tremendous appreciation of the sheer effort involved by those working in this field over the decades before the digital revolution swept through our industry. What one person can do now in an hour took probably a dozen people all day to do. I use this term quite often to describe my work, since that’s largely what it can be at times. I often work directly with an orchestrator, who will get the music exactly the way it needs to be, and all my job now is to clean up a bit around the edges, make parts and format them correctly and pass them along to our print department. This term can tend to mean a kind of music engraving of less quality than you would get from a true “music engraver” but I don’t see it that way. Not every piece of music needs to be engraved using the fanciest fonts and styles you would use for a major operatic work to be performed in Vienna. A plain, clear, accurate chart that is easy to read is always the best and a copyist keeps this motto in mind at all times. 4. “Music Editor” - “the one of oversees the final production and editorial standards of a given piece of music.” I view this term as describing two potentially different functions, 1. A “content” editor and 2. A “typeset” editor, which could be the same person but not necessarily. In the book publishing industry, there are editors who work with the author to craft, refine and style their works into better writing and then there are editors whose sole purpose is to make sure the commas, punctuation and grammar are used correctly. One editor is concerned with what is said and how the story develops, while the other is concerned with how it is written from a mechanical point of view. The same can be true in our world; an editor may be there just to given a quick look through the music to make sure there are no collisions of articulations and dynamics, make sure slurs are positioned correctly, etc, while another may be suggesting changes to the notes themselves, depending on the audience or customer for whom the music is intended. Why do all these terms matter? Well, its helps everyone understand the role they are performing in a given project, what’s expected of them and, in knowing the roles of the other people involved in the project, how their actions and choices affect those around them. This is really important when the deadlines are tight; knowing who has what role and how you can enhance their work makes all the difference. At Engraver’s Mark Music, while we have orchestrated a few small works here and there, our focus is to allow the creative forces in a given project, the composers, arrangers and orchestrators, to spend all their time and energy in those creative tasks, while we handle everything else. It says so right in our name. We are “Engravers”, using the best practices, honed with time, practice, and a myriad of projects big and small. We leave our “Mark” on our engraving with the quality of our work and the efficiency of our processes. Lastly, we are in service to the “Music” and our clients, making it better, clearer, and helping those who create the music stay focused on the creative process. If you are looking for a partner to help you create the best version of your music, contact us and learn how what’s in our name can help you make a name for yourself and your art. As I announced recently, Engraver’s Mark Music has released new bundles of our Finale and Sibelius templates. And while you may be having hard time controlling your over exuberant enthusiasm (come on people, keep it together out there, it's not like a new Justin Bieber album), some of you might be thinking, well, why would I need those and why would I want to buy them? Fair questions and ones I’d like to answer. I hope in this blog that you not only come to a greater understanding of our templates, why we made them available for purchase and the value they can bring to any composer, orchestrator or publishing company, but also illustrate the great value there is in the music engraver/copying/preparation profession and those who practice it (to be strictly accurate, those who practice it WELL). 1. Why do I need these templates? Learning any music notation software, whether Finale, Sibelius, Dorico, etc. can take months before you truly feel comfortable using them and even longer before you’ve built up the proficiency to use them on a professional project. Like a carpenter or stone mason, the basics can be mastered fairly quickly, but the art, artistry and true mastery comes only after years of work. I’ve been Finale for over 17 years, there are still things I am learning about how the program works and different ways of accomplishing various tasks in a given piece of music. You can certainly build your own templates in any of these various programs, but you’ll need the years of experience and practice first. Until you’ve experienced literally thousands of different music scores for hundreds of different kinds of ensembles, there’s just no way you can make a template flexible and powerful enough that can be used in all these situations. As a music engraver, I have to be able to adjust to any type of composing or orchestrating style, the demands of musicians in the recording studio or stage and the editorial standards of any given publishing company. Each and every situation can have different needs. standards and expectations, but one common one is EXCELLENCE. They all want precision, accuracy, readability, and they all want it ASAP. Sometimes, there is no way to satisfy these demands without robust templates to work in; templates that have a broad range of uses with consistent and repeatable results. At Engraver’s Mark Music, we have proven our reliability throughout the years that many publishing companies come to us to design the templates they will use for entire collections, even on projects we may not be involved with. They know they can trust the years of experience we have and expertise we can bring to provide the highest quality sheet music, in consistent, readable forms, again and again for their customers. 2. Why would I buy these templates? As I stated above, there are years and years of experience and knowledge behind our templates. The benefits our customers have enjoyed can be yours for just a few dollars. Still, you may be tempted to think, well, I can build them so why pay for them? Simply put, time is money. The whole concept behind our templates has been to find those features and workflows that allow us here at Engraver’s Mark Music to quickly, efficiently, and with precision and accuracy generate the sheet music our clients need. Our templates have been designed to save hours of work for each project, each and every time you use them. These time saving features are a huge benefit for you, and all our clients. What takes come companies days to accomplish, we can do in a matters of hours, which means dramatic cost savings for every project. Engraver’s Mark Music often works with independent clients on very tight budgets, often less than $150 for a full orchestral score and parts on a given piece of music, and we can provide them with amazing results for that amount of money because our templates and processes allow us to accomplish our tasks so much faster than other services. And now these templates are available to you to enjoy and use in your own projects. How much more time could you save? How much more music could you write and not feel exhausted by the process of getting the sheet music ready to be play? Just think about it and think about what that might be worth to you. 3. Why are you selling your templates? Isn’t that hurting your business since now I won’t need Engraver’s Mark Music since I have your templates? Honestly, these are questions I have struggled with for a while now. If Engraver’s Mark Music “sells our secrets”, then aren’t we losing clients in the long run? The answer that repeatedly came to from clients and colleagues who I discussed with topic with was a surprising one, but one which fits in perfectly with the core value of Engraver’s Mark Music; that providing these templates would increase the value of our services because clients could experience first hand all the benefits of working with us and would remember that every time they use one of our templates. That in turn would lead them to contact us to learn more about how we could help them on the next project and they would know that there is a music preparation company out there that can provide them exceptional value for each and every project, no matter the size or scope. As is the case with many service professions, if you can be trusted with a small project, your clients will trust you with larger and larger ones as they come along. Engraver’s Mark Music is no different; our clients trust us because they have experienced the value of our services and will turn to us with every small or large project (or even just random question, which we are happy to answer free of charge) they may have, knowing the value of our service is best represented in the trust they demonstrate in us. Lastly, the most unique feature of our templates is our included tutorials. Beyond the PDF files you get with our templates that explain certain features, with the purchase of any of our template bundles, you received a 30 minute guided tutorial. We provide this tutorial to walk you through all the benefits of your purchase and to offer our clients an opportunity to further customize the templates to their specific needs. No other company offers this level of attention to those who purchase their templates. If any of these ideas have made you think about the value a good music engraving template can bring your work, before you even consider buying one of our template bundles, please contact us. Let’s start a conversation and find where the value of our work can enhance of the value of your own artistry. From there, let’s build something together.